Filipinos are basically honest people and you can find several proofs of this contention by just observing your own surroundings. 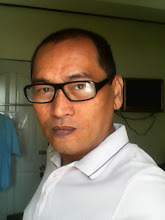 For example, there are millions of honest passengers who pay their own transportation fare even if the jeepney driver is facing his back towards the passenger. You also see Pinoys own brand of honesty in cockpits or “sabungan” where bettors verbally place their bets on the barker “kristos” and pay afterwards. Last Friday, April 25, 2015 a Filipino security personnel at NAIA proved once again that honesty has rewards. Danny Namion was penniless at that time and had to borrow P100 so can buy his lunch for that day. After lunch, he patrolled his area of assignment in the airport and found an unattended backpack. As part of airport security routines, he called the attention of Philippine National Police Aviation Security Bomb Detection Group. The bomb team did not find any bomb. 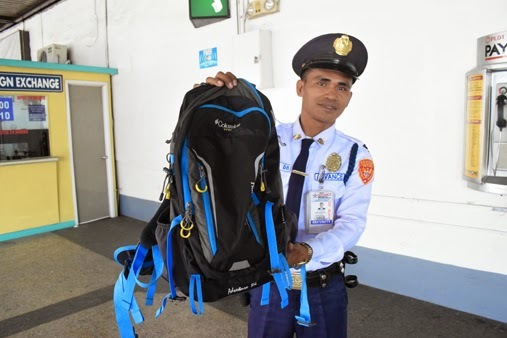 Namion did the next standard operating procedure and proceeded to the lost and found section in the airport to conduct inventory of items inside the backpack. It was at this point that thousands of dollars were discovered which was hidden in one of the inside sleeves of the backpack which belongs to Jessie Amor. He confessed that he was nervous with the huge amount of money and he discovered and said that the owner might badly need the money; thus, the reason why it was hidden in the backpack. The owner gave Namion $300 but opted to keep only $100 and shared $200 to his colleagues. From this act of sharing, you can say that this airport security personnel is indeed a good person. It is only an individual who has pure and kind heart who can only think of sharing his or her blessings to others. He did not mind that his family need so much money considering that he only earns P12,000 monthly. It is indeed a source of inspiration when we read stories like this. It will always make us proud that Filipinos in general are a bunch of honest people; but of course, there are exceptions.